I had 9 banana peppers from the garden, cream cheese, basil, and bacon. 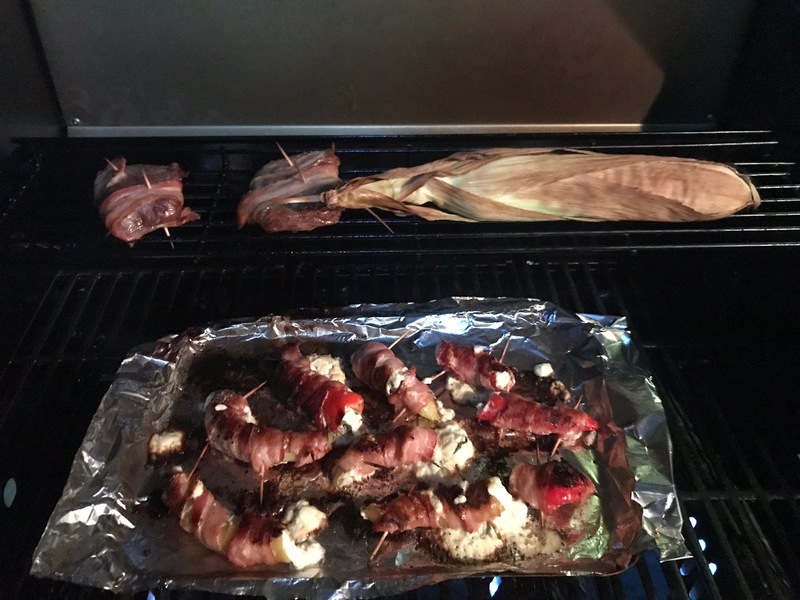 Combined and grilled in the BBQ, they made a delicious appetizer. Soak the tooth picks in water for 15 minutes. Cut the banana peppers along one edge and discard the seeds. Mix cut fresh basil with the cream cheese. Fill the peppers with cream cheese. Wrap the peppers with bacon. Use tooth picks to attach the bacon. Grill at medium heat on the BBQ for 15 minutes on one side. Then turn over for another ten minutes. Watch carefully to keep from burning.